Since becoming a daddy, I’ve been in search of my training groove again. Part of that is convincing myself that I can run long distances still and get out and train. I’m not going to lie. It’s easier to find excuses to skip a workout with a newborn in the house. However, I was finding excuses before baby came along. This past week was the first one where I started to feel like my old self in regards to training. It felt really good to be pushing myself again! 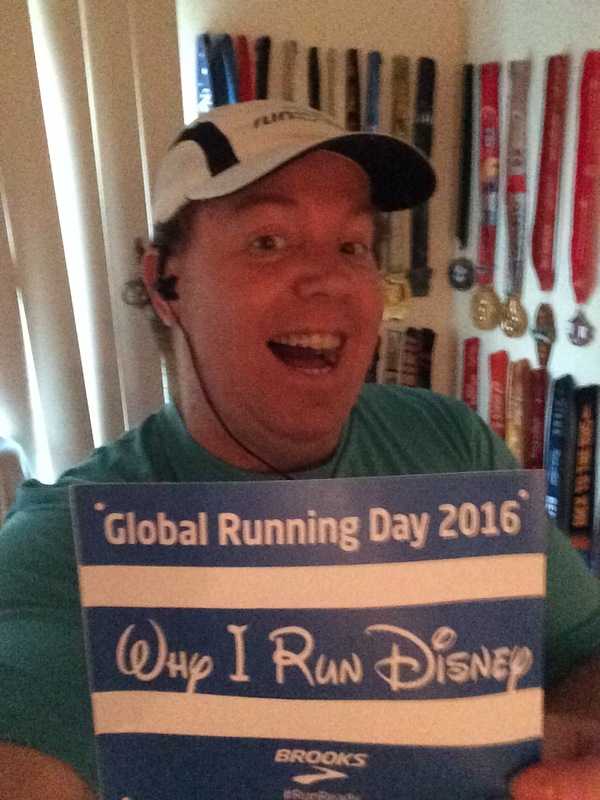 I skipped running on Tuesday to make sure I participated in Global Running Day. After spending Wednesday watching so many of my running friends post their runs, I was itching to get out and run myself. Before the run, I decided that I’d run 30 seconds, walk 90 seconds for miles 1 and 2. Then, in mile 3, I’d shorten the walk break to 60 seconds. Since becoming a daddy, I’ve kept to the run 30, walk 90 route. This just seemed like a good day to see if I could do more. Mile 1 was pretty good for the run 30, walk 90 seconds. I finished in 12 minutes, 2 seconds. This mile felt really good! I was having no issues. However, on my second run interval, as I was crossing a street, one of my strides landed weird and my knee felt it. The next interval, I felt slight pain and wondered if it would go away. By the run interval after that, I was okay again. 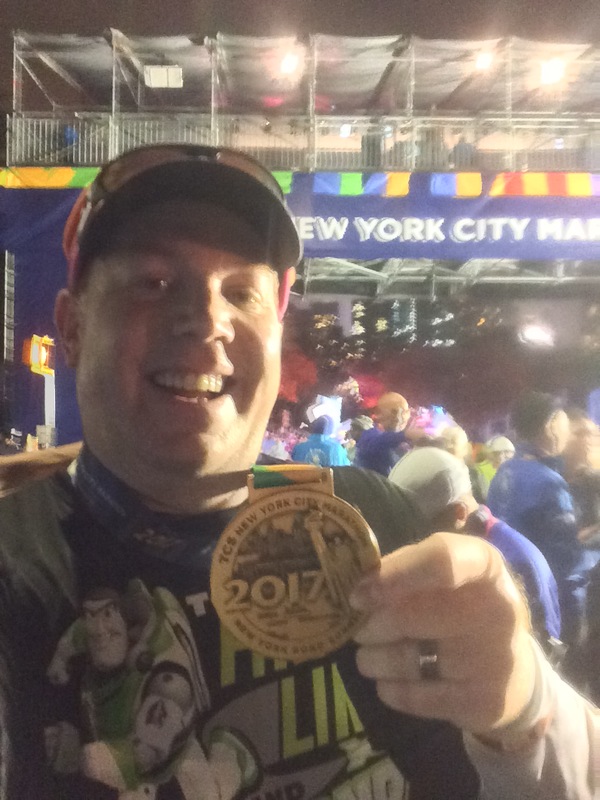 The knee didn’t bother me the rest of the run! Mile 2 is always slower as I’m on a gradual incline. I finished mile 2 around 24 minutes, 25 seconds. So, I was on par with what I had done the previous time over this 3 mile route. 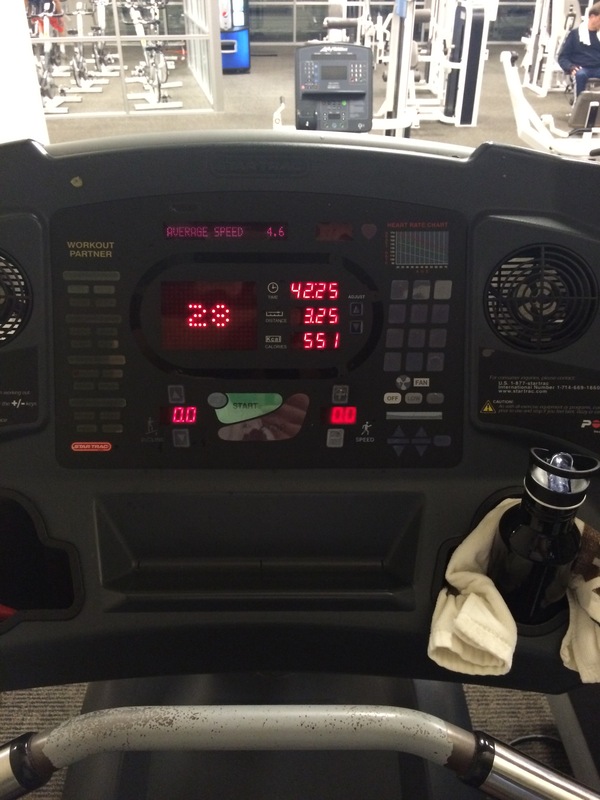 Could I take 25 seconds off the last mile? Well, by shortening the walk break to 60 seconds, I felt confident that’s all I needed to do. Guess what? I was right. This mile is the perfect one to try out the shorter walk break for the first time. It’s largely downhill and flat. I’m happy to report that there were no issues at all with the switch. 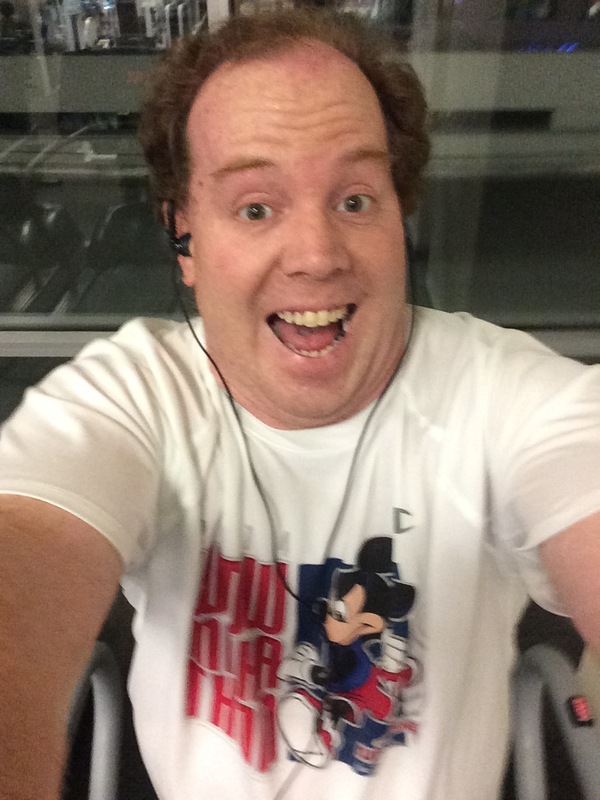 I finished the three mile run in 35:37…about a 20 second improvement over the last time I ran this route! 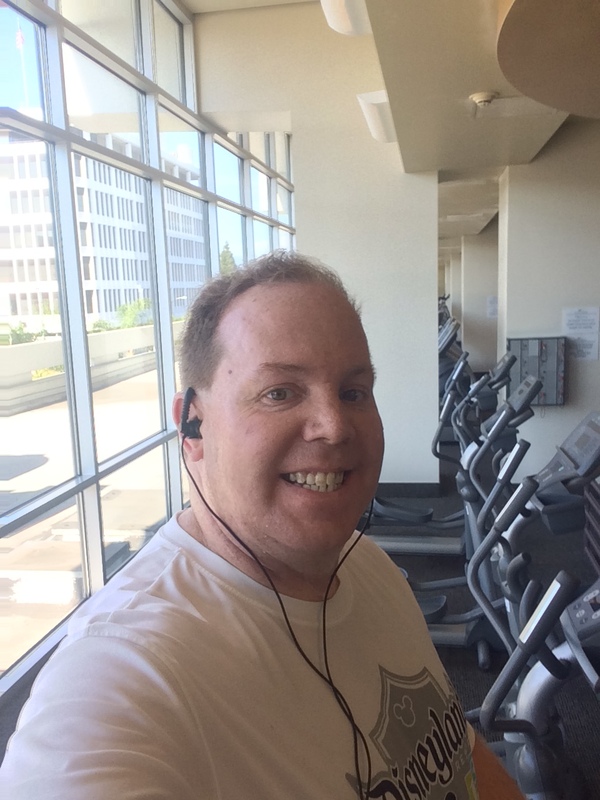 On Thursday, I made it back to the gym. Buoyed by pushing myself the day before, I decided to try out 6 x 400 on the treadmill. The week before, I wanted 6 x 400 and ended up with 5 x 400. So, it was a bit of a risk. It was hard, but I finished all 6 400’s on the mill! Yep! It felt amazing! This is where it started to set into me…I can run long distances and do hard things…even with a newborn in the house! Y’all, I felt on top of the world! That is, until I got to the machines. 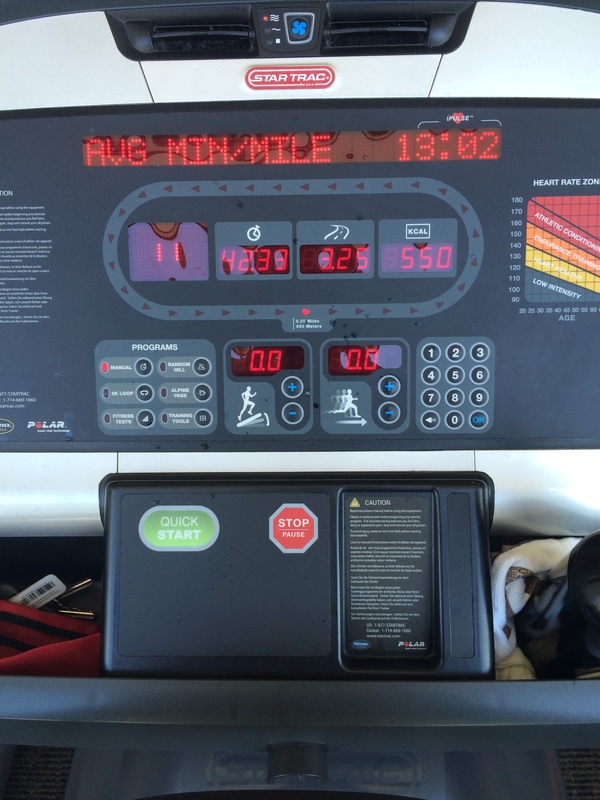 As I made my way through the chin-ups and dips, I could feel how much the 6 x 400’s on the treadmill had taken out of me. I pushed through and made all of my reps. However, I did have to stop once on my 3rd rep of chin-ups. The leg press was next. I had not issues. However, the tiredness was building. By the abs machine, I felt like toast. I didn’t make it through everything. But, gave it my all. 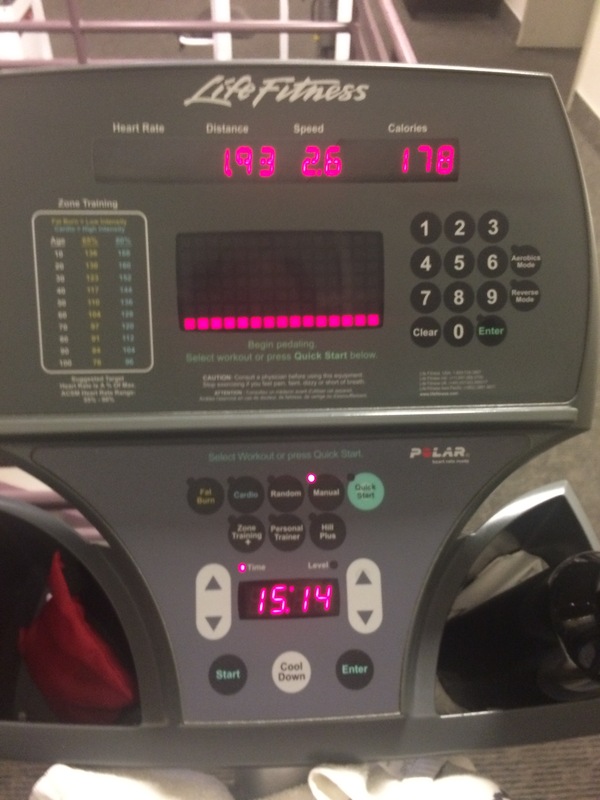 I managed 15 minutes on the elliptical machine. It was all the time I had. At 9:30pm, I really needed to call it a night. Plus, I was spent at the end of 15 minutes. If I had more time, I might have tried to go longer. But, I’m not sure how much longer I would have made it. All in all, it was a pretty good workout. I pushed myself and saw the results. I missed my long run on Saturday due to pure exhaustion. 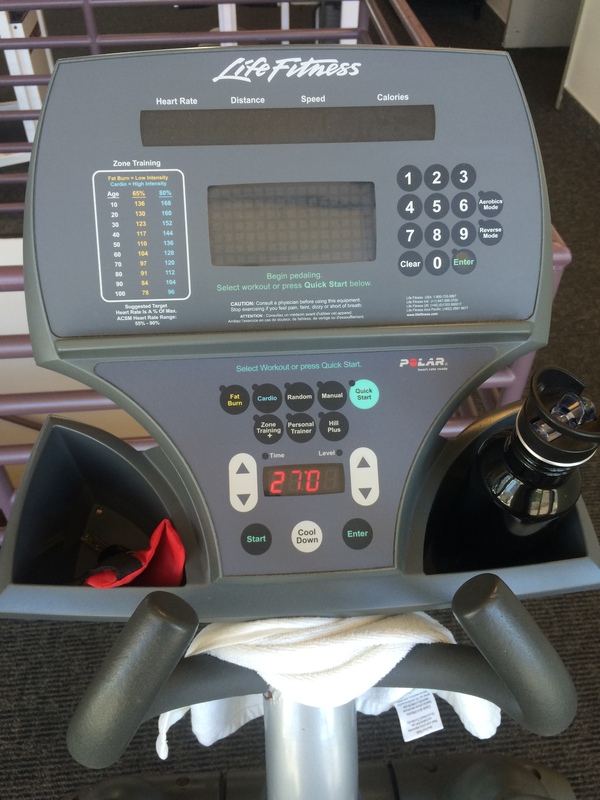 I really needed the day off….mentally and physically. Initially, I was going to go out for a 7 mile run on Sunday. However, the timing of my boy’s feedings changed that. At 6am, as I thought about whether or not I could go out and run 7 miles, I decided to sleep a little longer and do a gym workout instead. So, it was time to solidify my 6 x 400’s on the treadmill from Thursday. Predictably, I was even stronger while running them on Sunday. I know it doesn’t always go this way. However, this is how I think it should go. The first attempt is rough. Then, it gets better. As you can see, I was pretty much right on par with Thursday. This run felt better, however. I am getting stronger. That continued as I headed to the assisted chin-ups and dips. I felt much stronger doing these than I did on Thursday. I complete all reps without any problems. Yes, I was working to get all reps in. However, I felt strong in doing so. The good vibes continued to the leg press and onto the abs. 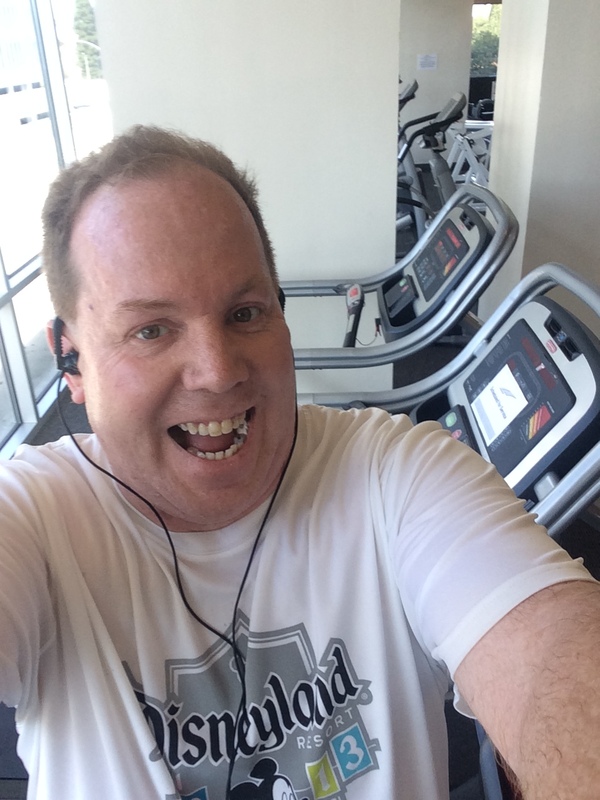 Since I wasn’t limited by time on Sunday, I got all 27 minutes in on the elliptical machine. I do 15 minutes going forward and 12 minutes going backwards. After the first 2 minutes going each way, I was alright and had no problems finishing all 27 minutes! I may not have run 7 miles on Saturday, but I did manage to find time to work a little bit on the nursery. We received the Colton Mickey Ears a few weeks ago and I haven’t taken the time to put it up yet. 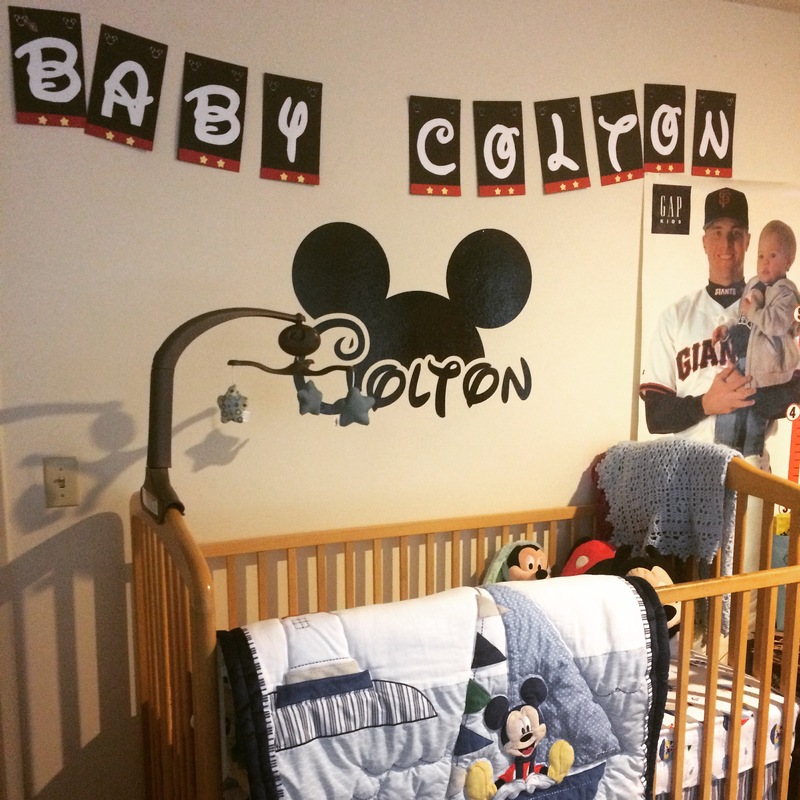 We had the “BABY COLTON” sign from one of his baby showers. I needed the Mickey Ears before we could put up the other. The thing about adoption is that, because we didn’t know the gender of our baby until Colton came home with us, we couldn’t do too much on the nursery. I’d say we’re doing alright, though. Star Wars Light Side Half Marathon Weekend Registration is Next Tuesday!!!!!! Thanks. Each day is a new day. It’s so easy to loose your groove when running and/or working out. So, I’m going to keep working at it! Thanks. We’ve still got some work to do on the nursery. Fortunately, Colton is still too young to care. I’ll post more pics once the nursery is finished. Good luck with your training!